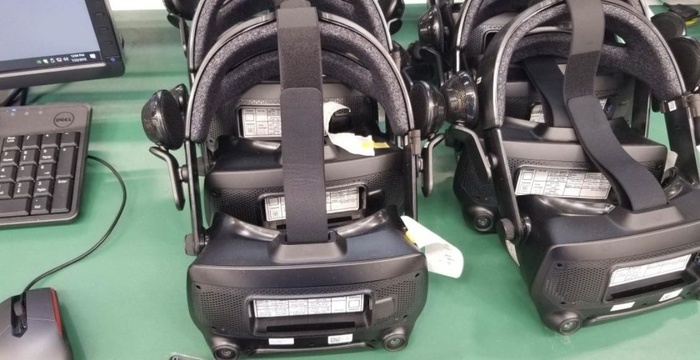 The UploadVR portal has published photos of the prototypes of Valve’s virtual reality helmet, which the company plans to release with Knuckles controllers and a game in the Half-Life universe. According to UploadVR, the helmet is equipped with two cameras, built-in headphones and has a resolution of 2880×1600, and a field of view of 130 degrees. The release date of the gadget is not yet known. The latest VR project from Valve was a game in the Portal universe – Moondust. The company published a demo version of the game in the summer, at the same time demonstrating the Knuckles EV2 controllers.